58198 • Tamiya PIAA Nakajima Reynard 97D • F103 • (Radio Controlled Model Archive) • RCScrapyard. 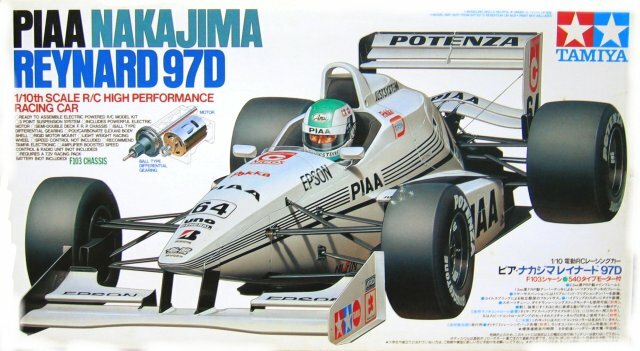 Released by Tamiya on August 7, 1997, this self assembly Radio Controlled Formula One Model, based on the F103 Chassis, is that of the PIAA Nakajima Reynard 97D that races in the 1997 Formula Nippon season. 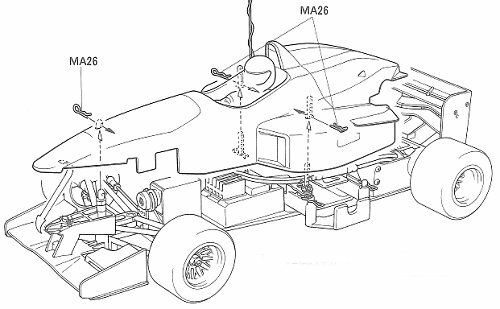 Quite a few sites on the web have this car listed as being an F103RS model, but it clearly says on the box it is an F103 and if you check the images of the chassis on the Tamiya sites you will see it is definitely an F103.